Peggy Lampman’s passion is writing novels, which use food-centric and romantic themes as a means for breaking down familial and cultural barriers. 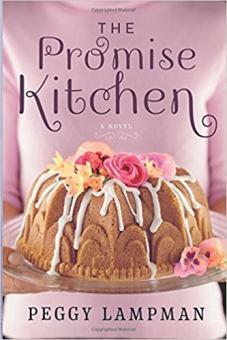 Her novels, THE PROMISE KITCHEN, THE WELCOME HOME DINER and work-in-progress, THE MAIDEN TOWER, reflect this fascination. She grew up in Alabama and planted roots in her college town of Ann Arbor, Michigan where she owned a specialty food store and wrote a food column.